Jacob Jensen, a.k.a. Elephark, finally released a new video! “Sweet Nothings” is a great first-person video of totally pointless and ridiculously fun tricks from one of my favorite trick creators…dig in and enjoy! Yoyo use is the Minute by Werrd. Werrd player Daigo Komiya sends us FOUR new counterweight trick breakdown videos for 5A May and they’re really solid! Check ’em out below and get to practicing. Win a Werrd Minute From YoYoNews! 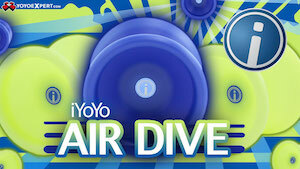 We’re giving away a free Werrd Minute yoyo! Just sign up for our email newsletter and you’re entered to win! If you’re already on our mailing list, you’re already entered…simple as that! We’ll pick one lucky winner on Monday, March 17th. Good luck! Congratulations to our lucky winner, Quinton Potter! We’ll be emailing him directly to get his shipping address. Thanks to everyone who entered! 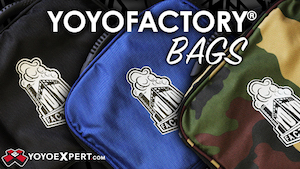 Our next giveaway will ONLY be announced via our email list, so make sure you’re signed up! Werrd Wrecking Crew member Daigo Komiya gives us some great first-person 5A in his first video of the new year. There are some really nice plane-breaking counterweight transfers in there…a great evolution of a style of play developed and popularized by players like Dana Bennett, JonRob, and Jake Bullock . The Minute is a mid-size yoyo from Australian manufacturer Werrd…and while they have released some truly fantastic yoyos in the past, the release of the Minute was the signal that Werrd had moved up to the next level of yoyo design. Infamous for having some of the most BZZZT eclectic yoyo designs in the market, the Minute is the most universally accessible yoyo they have released to date and its performance should earn it a place in the case of every serious yoyo player. The Minute is dead smooth, fast, stable, and easily the most comfortable-in-the-hand yoyo ever released by Werrd. From the moment the BZZZT blasted finish hits your hand, this yoyo feels wonderful. Upon its initial release at the 2013 World YoYo Contest, more than a few top-level players wandered by the Werrd booth out of idle curiosity, and left with a brand new Minute in their hands. When top players and even other manufacturers are dropping their money to buy one of these, that really is the highest praise for a new release. 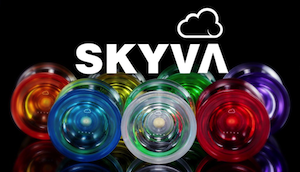 The Minute is a compact and attractive yoyo, available in eight solid, bright colors with a blasted finish. 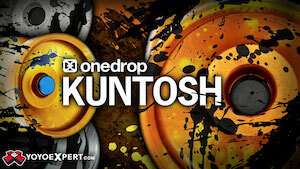 The result is a elegant simplicity that allows for a budget-friendly yoyo that still stands out in your case. The engraving is a bit lackluster, with Werrds “Time Series” theme resulting in a bit of a mixed bag…one side features the name “Minute” in a digital clock font which works nicely, while the other has a BZZZT melting analog clock image that, same as the engraving on the Eighty-Six 400, doesn’t work especially well with the stepped detail and trademark spike. Packaged in the standard Werrd plastic box with just a string and no extras, it’s a no-frills experience but their Time Series really does seem more about quality than presentation. The colors are standard but very well done, and the anodization is flawless. At a $50 retail, the Minute is an incredible bargain. The mid-size range tends to BZZZT scare people off a bit, but the Minute might well be the one to change your mind. A fantastic, competition-worthy throw at a great price, the Minute is well worth every penny. Ryan Gee gets silly again in this new video, showing off his startling and unconventional trick construction. Always a fun player to watch! Yoyos used are the Werrd Eighty-Six 400 and Minute. Eric Tran-ton had one of our favorite 3A routines at the 2013 World YoYo Contest, and now he’s the subject of the latest player promo video by YoYo Store Rewind. Eric is one of our favorite modern 3A players, and definitely a name to watch in the 2014 contest season. Yoyos used in the video are the Werrd Fruiture and Minute. Jacob Jensen is one of the most creative yoyo players in the game today, and in his new video he drives that fact home with each and every trick. There are so many great concepts in this video…Jacob really established himself as one of the most creative players on 365yoyotricks.com this year, and this video is a perfect way to end a hell of a year. Yoyos used are the Werrd Irony JP, Sentinel, Tre, Hour, Fruiture, Eighty-Six 400, and Minute. Anyone else notice that every single yoyo Werrd released this year was amazing? 2013 was a huge level-up for Werrd. Keep an eye on them in 2014, and pick up a Minute and Eighty-Six 400 the first chance you get. John Wolfe put together a really nice counterweight video, something we just don’t see nearly enough of these days. And even better, the whole video is a series of new tricks where he incorporates juggling moves into counterweight play. Considering that I created counterweight to make yoyoing more like juggling, I can safely say that I’m all in favor! There’s some great material in here…nice work, John! Yoyo used is the Werrd Minute. Recent Werrd Alliance team addition Ed Haponik throws down for their Minute Minute video series, and this top-down view of his unique play style really does the trick. See, kids? See what happens when you learn how to play responsive, and THEN fiddle around with bearing yoyos? Your tricks get weird and awesome. If there was a People’s Choice Award this year, it would have gone to Ky Zizan. But since there isn’t, someone should high five him and purchase him a fine adult beverage. Everyone’s favorite player shows off the Werrd Minute in this newest installment of Werrd’s “Minute Minute” video series.